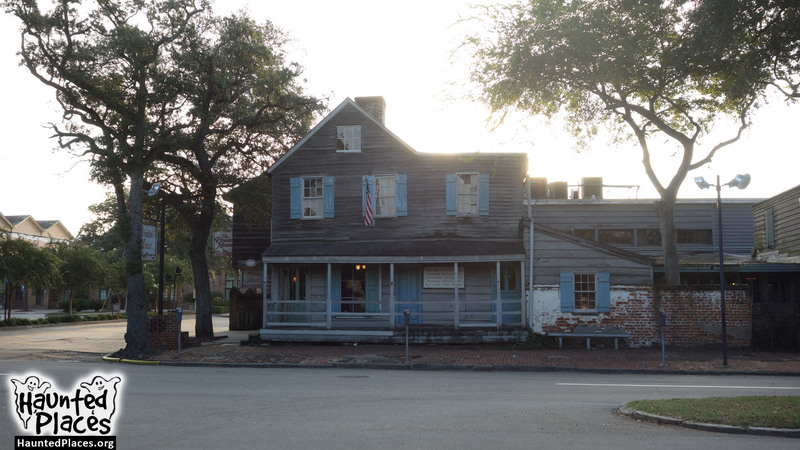 At this 1753 tavern building, originally a sailors’ pub, you may just get a climpse of the ghost of Captain Flint of “Treasure Island” fame. 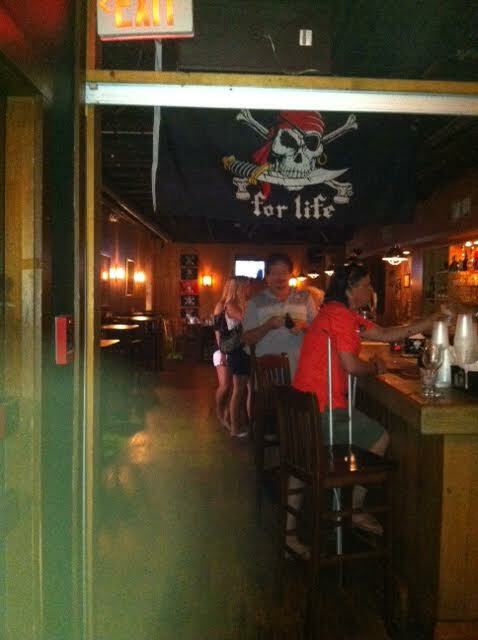 Some say this is the spot where the pirate died upstairs, although others say Flint is a fictitious character. 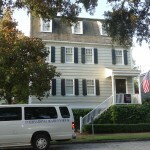 Regardless, something spectral appears to be active on the second floor. 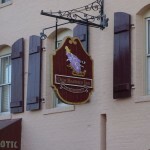 Rumor has it that members of a ghost-hunting association came to stay at the restaurant because of the many reports of hauntings. However, it is said that they were so scared by all the spooky goings-on that most of them took off, leaving their research unfinished. 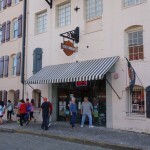 Murder mystery dinner shows performed by the Savannah Community Theatre are held at this historic restaurant during some evenings. 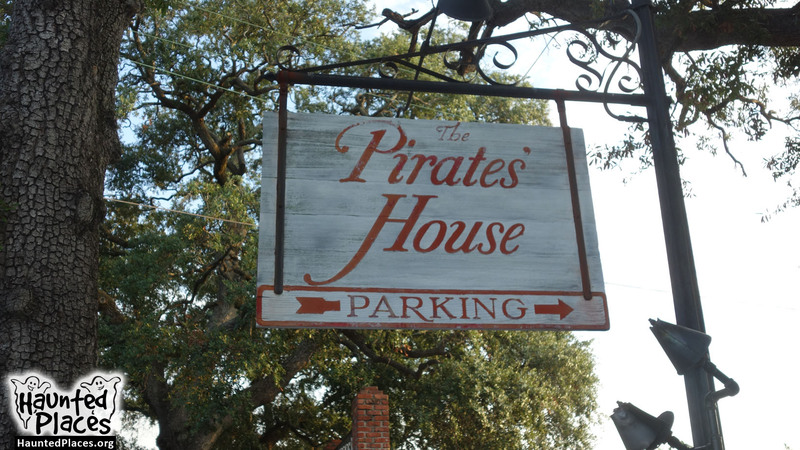 Do ghostly pirates really haunt The Pirates’ House? 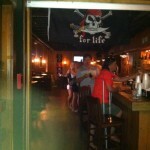 That be somethin’ ye can find out for y’self, matey! 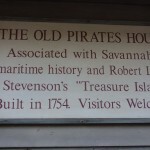 Hello, my name is Crystal Walters from Orlando, Florida and myself and my fiance’ visited Pirates House last month in July 2014. 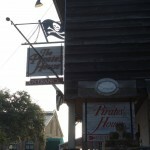 Upon visiting the Pirates House on one of the ghost tours, I took several pictures of my fiance’ Ron in the Bar area and to the left lower corner of my Iphone, several pictures of an actual (looks like a Captain with white hair and a white beard and look like he is dressed in Old time clothing with shoulder pads and a very broad chest has appeared in my picture.. He is looking straight at us in both photos inside a green Orb but you must enlarge the photo on the Iphone to get the complete picture!!! It is truly amazing as he is an apparition and looks very clear! I would like to share this picture with you if you are interested in posting it as it is amazing to see! 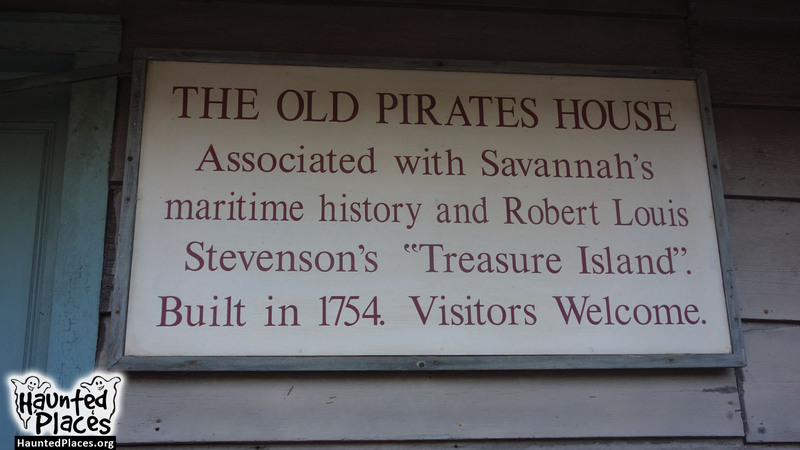 Please contact me if you would like to talk with me about this photo at the Pirates House!..I look forward to talking with you! 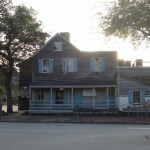 you should send this photo to Ghost Adventures,Ghost Hunters or to another paranormal team and see what they say. I totally agree with you I do see a full body apparition. This is a awesome photo and you should keep it for memories. 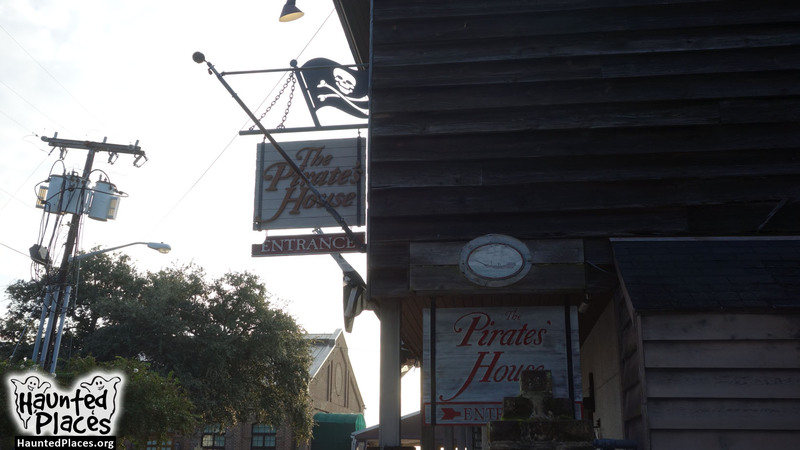 I had an opportunity to visit the Pirate House with my mother and daughter last year for dinner. The food was delicious by the way 🙂 While waiting to be served, the place was very crowded…I got very cold and had to put on my jacket. We had a table in the back of the place, near a long hallway. The longer I sat and waited for our meal, the colder I got. It was very odd. Eventually I starting feeling a heaviness, almost like a suffocating feeling. I’ve never ever had a feeling like that before. The heaviness got stronger to the point where I did not even finish my meal. 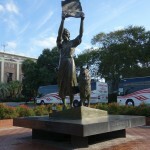 I was ready to leave and although I enjoyed the visit…..something there made me feel cold and smothered, overwhelmed and anxious. It almost made me sick. Strange and I guess it’s hard to understand unless you experience it but I believe it was something or someone “unseen” in the place that made me feel that way. Hello, and my name is Mike and I’m with my friend Dylan. 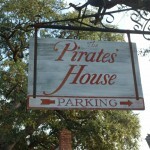 We had Great stay at the pirate house one night and I love the food anyway so we were just eating at our table in the back corner by the stairway and all of a sudden the table next to us just fell out of the blue nobody was near it no waitresses no customers nothing I just fell and all the glass is shattered we asked the waitress if the any of the legs were loose and she said she tighten them earlier that day we were all very curious about what happened but we know one thing for sure it wasn’t human.